coach to offer couples PREPARE/ENRICH readiness to marry and marriage well-being assessments (www.prepare-enrich.com). She serves as faculty for the Wilmette Institute Relationship and Marriage courses, involved in courses in English and Portuguese, and available to mentor participants in Spanish and Persian as well. 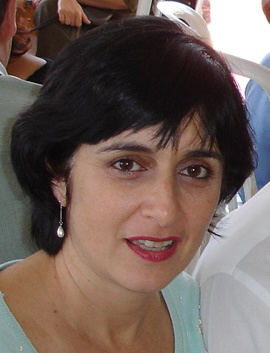 Fariba lives in Brazil in Sao Paulo State. She has been married to Henri since 1984, and they have three adult children and two grandchildren. She has served as an Auxiliary Board member, member of the Regional Bahá’í Council, coordinator for the national training institute in Brazil, and as an activist in the interfaith movement for many years. She is currently serving on the National Spiritual Assembly of Brazil.